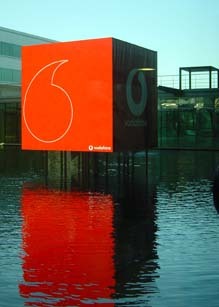 The objective was to create an environment that offered occupants an opportunity to experience Vodafone’s brand values. 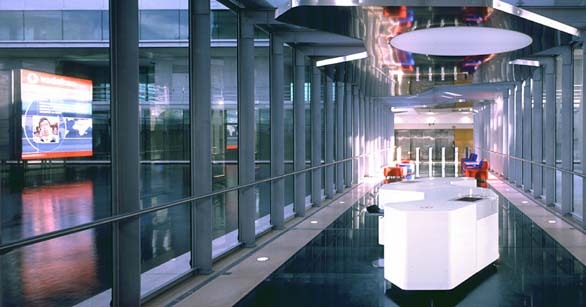 By embedding the architecture with technology, a space was created that connects to the outside world through information exchange. The viewer interacts with a table that displays maps linking web information and the city. With a highly visible display cube, the interior space is extended outwards. 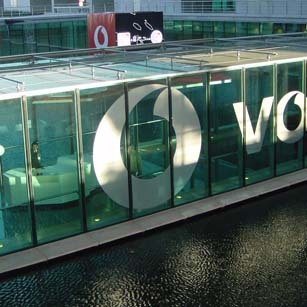 News, games and information are accessed via purpose-made furniture or mobile phones, allowing visitors to appreciate the technology spatially.